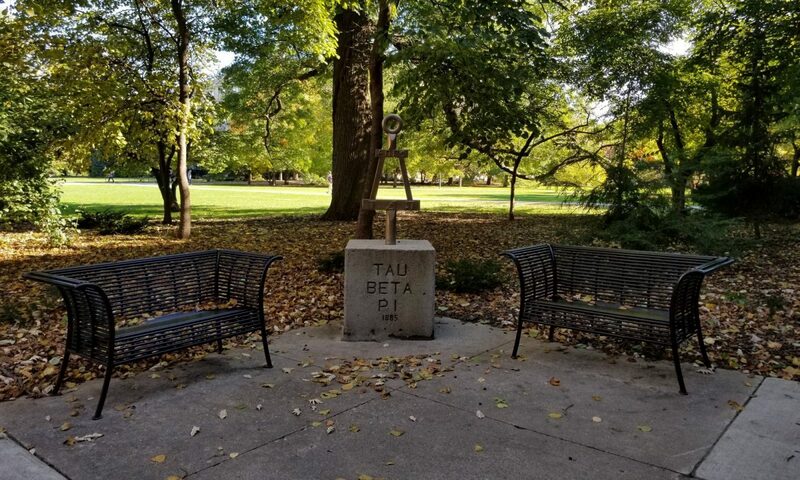 On 20 December 1907, the Iowa Alpha Chapter of Tau Beta Pi was formally established as the 19th collegiate chapter in the United States. There were 12 Charter Members whose names appeared on the Original Charter. Of the 12 engineering students who were Charter Members of Iowa Alpha: 6 majored in Civil Engineering, 5 in Electrical Engineering and 1 in Mechanical Engineering. Eleven of these students were from within the state of Iowa, the lone exception being from South Dakota. One of the students died prior to the Charter being signed and before he graduated. After receiving their Bachelor of Science degrees, all 11 members took jobs in the private sector. Only two stayed in Iowa to pursue their careers, including the student from South Dakota. In the course of their careers, two of the Charter members founded their own companies, three became President and General Manager of their firms and two became Vice President and Chief Engineer. All remained practicing engineers throughout their careers, including those who reached executive positions. Since its beginning, the Chapter has enjoyed strong support from the Deans of the College of Engineering. From the first Dean of Engineering, Anston Marston to Dr. Sarah Rajala, the current dean, there have been 10 deans. All 10 have been Tau Beta Pi members and have served as advisors to Iowa Alpha. 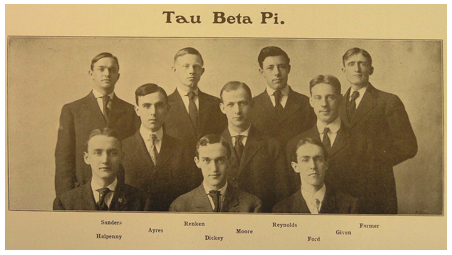 While the Chapter dates back to 1907, Tau Beta Pi members date back to the first graduating class at Iowa State. 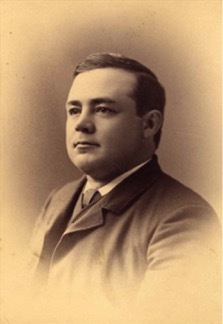 One of the first Iowa State alumni initiated by Iowa Alpha as a Tau Beta Pi member was Edgar Stanton, a prominent professor and acting president of Iowa State on 4 different occasions. 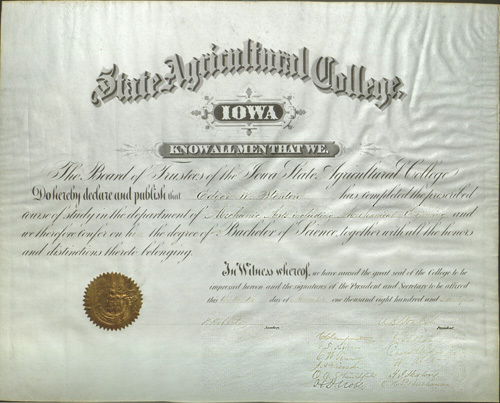 He came to Ames to study at the new Iowa State Agricultural College and Model Farm in 1868 and has the distinction of having received the first diploma in Iowa State’s first graduation class in 1872 a Bachelor of Science in Mechanical Arts, including Mechanical Engineering. 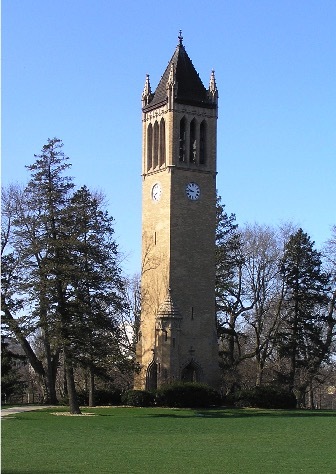 One of Iowa States most familiar landmarks, the Campanile and its original carillon was built in 1899 as a memorial to Stanton’s first wife. 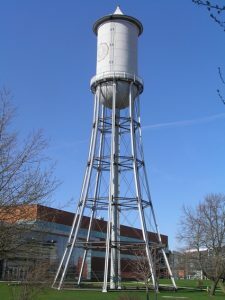 Following Stanton’s death in 1920, 26 additional bells were added, thus forming a musical instrument, the Edgar W. and Margaret MacDonald Stanton Memorial Carillon. The influence and contribution of Tau Beta Pi members to engineering at Iowa State extends from the first engineering structures and buildings on campus. 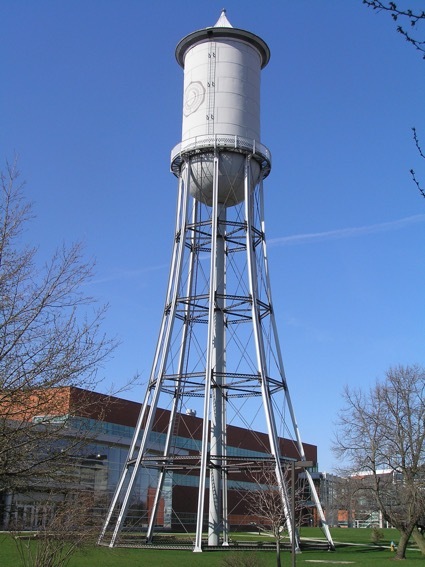 Designed and supervised by Anston Marston, the Marston Water Tower was erected in 1897 as the first elevated steel water tower west of the Mississippi River; and Engineering Hall, later named Marston Hall was constructed in 1902. Other Engineering buildings named for Tau Beta Pi members, who as head of their departments, brought national and international prominence to engineering programs at Iowa State, including: Coover Hall, Davidson Hall, Sweeny Hall and Black Engineering. 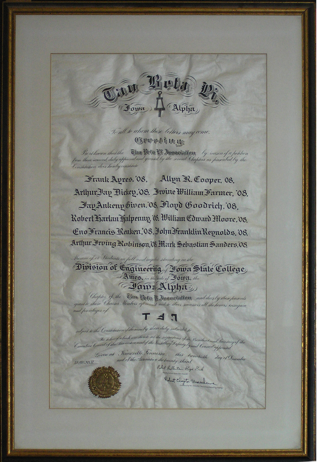 In addition, engineering buildings have been named for Tau Beta Pi members based upon their commitment and support to the engineering profession and Iowa State University, include: Howe Hall, Hoover Hall, Town Engineering, Durham Center, Elings Hall, and Sukup Hall all of which have been named for Tau Beta Pi members. However, the influence of Tau Beta Pi members on the University extends well beyond engineering. 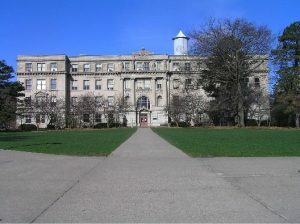 The Memorial Union as the center student activities makes an important contribution to campus life. Five Tau Beta Pi members have had pivotal roles in the planning, construction and refurbishment of the Union: Maurice Riggs, an Iowa Alpha eminent alumni and 1883 Civil Engineering graduate, provided an early vision of the Memorial Union and impetus for a one million dollar fund raising effort in the early 1920s to finance its construction; Harold Pride, a Iowa Alpha initiate and 1917 Civil Engineering graduate, was Secretary of the Union Corporation for 50 years from 1922 to 1972, and served as the Union Director from 1928 to 1959. 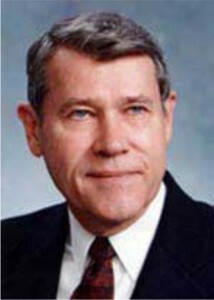 Due to his long tenure in these positions, he was often called “Mr. Memorial Union” and the Col. Harold Pride Lounge is named for him. Anson Marston, and Thomas Agg, the first two Deans of Engineering, led the Memorial Union Executive Committee for over 20 years, Marston serving as chair from 1925 to 1930 and Agg from 1930 to 1946, which was a crucial period for the Union as it was facing both construction and financial difficulties. 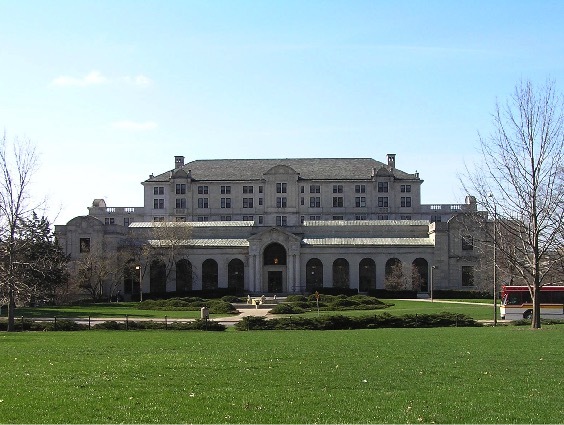 In his book Iowa State Memorial Union – The First Fifty years, Harold Pride credits Anson Marston and Thomas Agg with having “saved the project from early disaster and brought an idealistic dream to reality”. 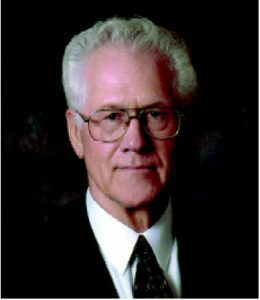 In addition, Charles Durham, an Iowa Alpha initiate and 1939 Civil Engineering graduate has the Great Hall named in his honor. In total, 18 buildings and campus landmarks have been named for Tau Beta members. The non-engineering buildings include: Beyer Hall, the Jischke Honors Building, Palmer Human Development and Family Studies Building, and the Sukup Basketball Complex. Since its establishment, Iowa Alpha has initiated 7,500 members of which 811 (11%)have been women. There are historical reasons so few women are Tau Beta Pi members. While women are now accorded the same Tau Beta Pi membership rights as men, this has not always been the case. 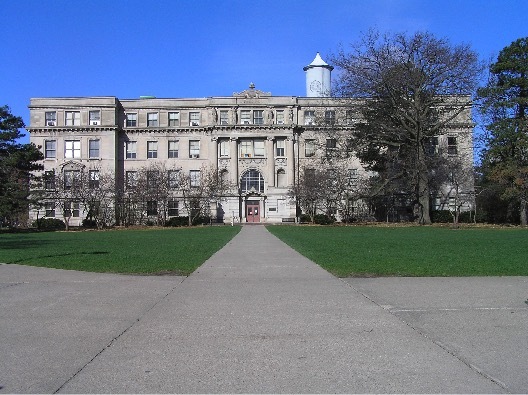 Membership of women in Tau Beta first became an issue in 1903 when a woman in engineering at the University of Illinois headed her class and was elected to membership by Illinois Alpha. Unfortunately, the Tau Beta Pi Executive Council that year refused to approve the female student’s election to membership. 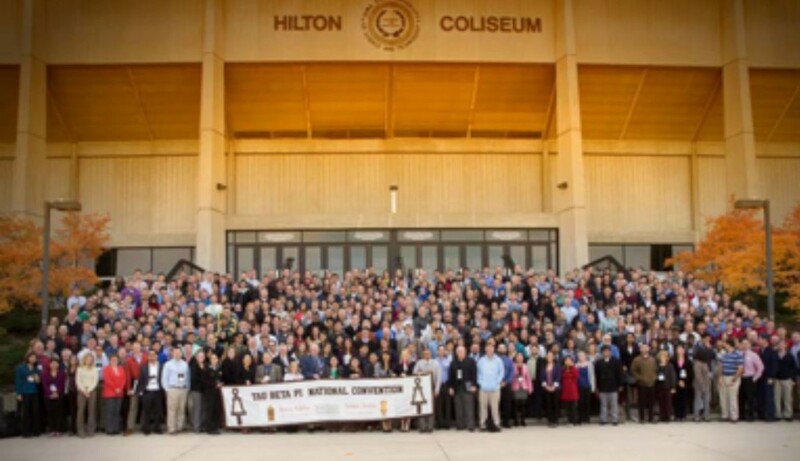 Illinois Alpha appealed to the National Convention, but delegates voted to uphold the Council’s decision and the Tau Beta Pi Constitution was hastily edited to insert the word “male” wherever appropriate. It should be noted that this action was taken before Iowa Alpha was established and that Iowa State had an early tradition of supporting women in engineering. In 1892, Elmina Wilson, a Civil Engineering student, was the first woman to receive an engineering degree from Iowa State. She went on to earn her Masters degree in 1894 and remained at Iowa State as an Instructor of Civil Engineering from 1892 to 1902; and as an Assistant Professor of Civil Engineering from 1902 to 1904. She is believed to be the first woman in the nation to receive an engineering degree and to serve as a engineering faculty member. Her sister, Alda, also earned a B.S. 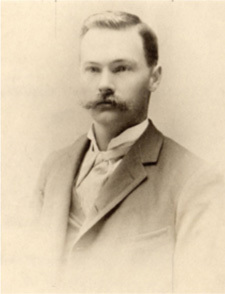 degree in Civil Engineering in 1894. 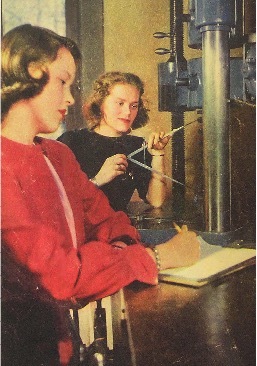 The ban on women in Tau Beta Pi remained intact until 1936, when the Tau Beta Pi Convention authorized presentation of the Tau Beta Pi Woman’s Badge to women in engineering who met the requirements for Tau Beta Pi membership. However, the Badge did not represent membership in Tau Beta Pi and it was not until 1969 that women were accorded full Tau Beta Pi membership. Between 1938 and 1968, eight Woman’s Badges were awarded by Iowa Alpha. The first two women to receive the Woman’s Badge at Iowa State were Eloise (James) Zimmerman the recipient in 1945 and Mary (Krumboltz) Hurd the recipient in 1946. 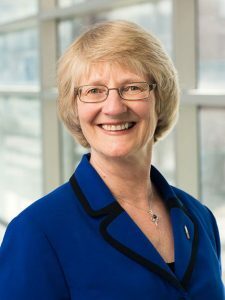 Both were later initiated as full members and Mary Hurd has the distinction of being the only woman engineering graduate to receive the ISU College of Engineering Highest Award, the Marston Medal. In recent years membership of women in the Iowa Alpha Chapter of Tau Beta Pi has increased significantly. In Spring 2015, 48 of the 202 student members of Tau Beta Pi (24%) were women. Recipients of the Marston Medal must be Iowa State Alumni and have graduated at least 35 years prior to receiving the award. Since inception of the Marston Medal in 1938, 51 of the 78 recipients (65 percent) have been Tau Beta Pi members, including 18 of the first 21 recipients and 12 of the last 17. Since less than 15 percent of College of Engineering students become Tau Beta Pi members, the high proportion of Marston Medal recipients who are in Tau Beta Pi is quite remarkable. In addition to the integral role of Tau Beta Pi members to engineering at Iowa State, Iowa Alpha has also made substantial contributions to Tau Beta Pi nationally. On five occasions Iowa Alpha has hosted the annual Tau Beta Pi National Convention, the first time in 1917 and most recently in 2013; only one other chapter, Indiana Alpha, has hosted the convention more often. 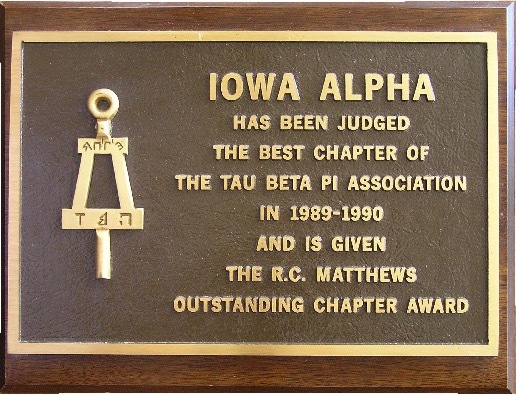 Particularly since 1990, Iowa Alpha has frequently been selected nationally as one of the outstanding Tau Beta Pi Chapters. Iowa Alpha received the R. C. Matthews Outstanding Chapter Award in 1989-90 and again in 1991-92 and has been runner-up seven other times. The Chapter has received 14 of the 68 Greater Interest in Government grants awarded since that program was started in 1989, while no other chapter has received more than 4. It has also received the Secretary’s Commendation Award for the timeliness and quality of its reporting 19 times since 1987. Iowa Alpha has had 7 recipients of the Tau Beta Pi Laureate Award: Lisa (Cramer) Osadciw, 1986 recipient for the arts; Lia Pierson, 1995 recipient for diverse achievements; Heather Schafroth, 1996 recipient for diverse achievements; Sarah (Bauer) Hansen, 2002 recipient for the arts; Ann (Gleason) Gilman, 2011 recipient for athletic achievements; Carl Kirpes, 2012 recipient for diverse achievements; and Lisa Garrett, 2014 recipient for diverse achievements. Only one other Chapter, Massachusetts Beta has had 7 recipients. 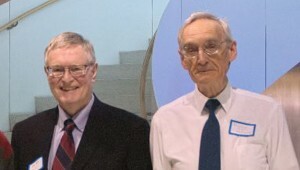 The Chapter has had 2 recipients of the Tau Beta Pi Distinguished Alumnus Award: Lyle D Feisel the 2002 recipient; and Richard H. Stanley the 2009 recipient. Iowa Alpha has also had one recipient of the Tau Beta Pi McDonald Mentor Award: Derrick K. Rollins, who received the award in 2012. The success of the Chapter over the years can largely be attributed to the dedication and enthusiasm of its officers and the devotion of its advisors. 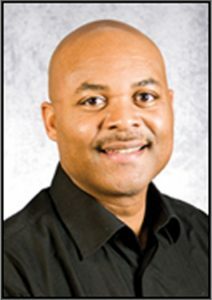 Two Iowa Alpha Advisors have received Tau Beta Pi National Outstanding Advisor Award: Dr. James C. Hill was the first recipient of the Award in 1994, he has been an advisor since 1978 and is Iowa Alpha’s longest serving advisor (currently 39 years), he is also a Tau Beta Pi District 11 Director; and Dr. Richard J. Smith, the 2004 recipient, he served as an Iowa Alpha advisor for 15 years from 1990 to 2005 and again from 2013 to the present.